Roofing shingles can be damaged by wind, hail, debris, and more. If you’ve discovered you have damaged or missing shingles, it’s a good idea to learn how to shingle a roof and replace them as soon as possible. If not, you leave your roof and your home open to leaks, which can lead to bigger problems. 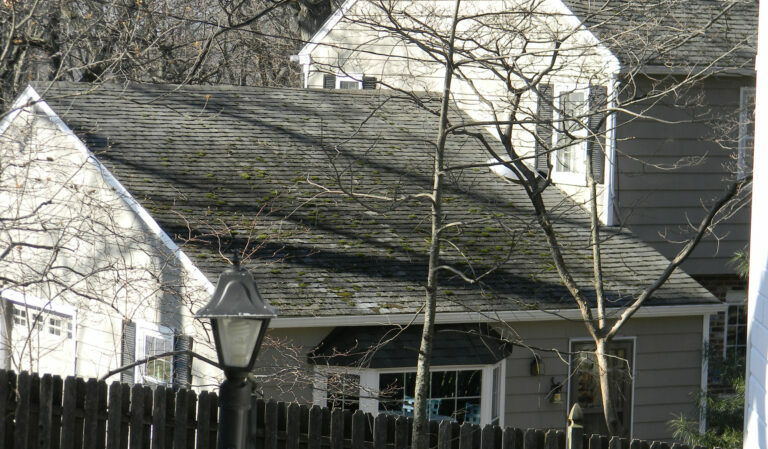 In this DIY, our roof repair experts explain how to remove your old shingles and install new ones. If you have shingles that are damaged, you’ll want to replace them entirely. Slide your putty knife underneath the edge of the good shingle and lift it up to loosen it from the seal. Use your pry bar to lift the shingle until the bottom row of nails is about ¼” out of the roof. Remove these nails and you should see the first row of nails on your damaged shingle. 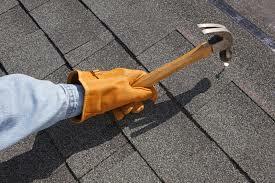 Use your pry bar to lift the shingle up and remove the nails on the damaged shingle as well. Pull out the damaged shingle. Slip the new shingle underneath the good shingle above it and nail it into place using your hammer and nails. Once it’s in place, apply a dab of roof cement to the tab to seal it to the roof. If you’re repairing a shingle that’s missing, inspect the ones around it to make sure they’re not damaged. the good shingle above the missing shingle. Remove these nails and slip your new shingle underneath. Nail the new shingle to the good shingle above it and apply a dab of roof cement to the tab to seal it down.